Magicshine 2018 new USB rechargeable all in one Front Bike Light, The Allty 300 like its big brother the Allty 500 has built in rear light providing commuters and road cyclists with the ultimate safety and reliabiltiy. 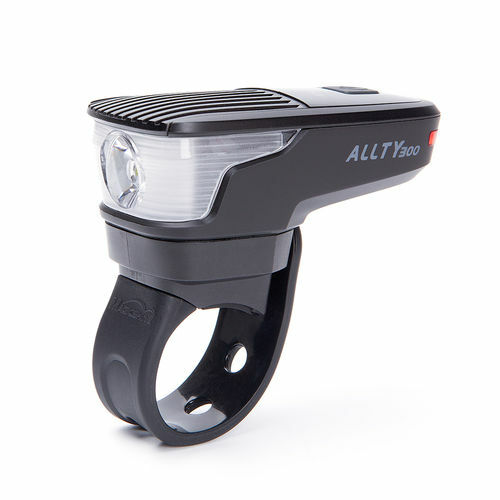 As always Bike Lights UK have the Allty 300 at the best price in the UK! 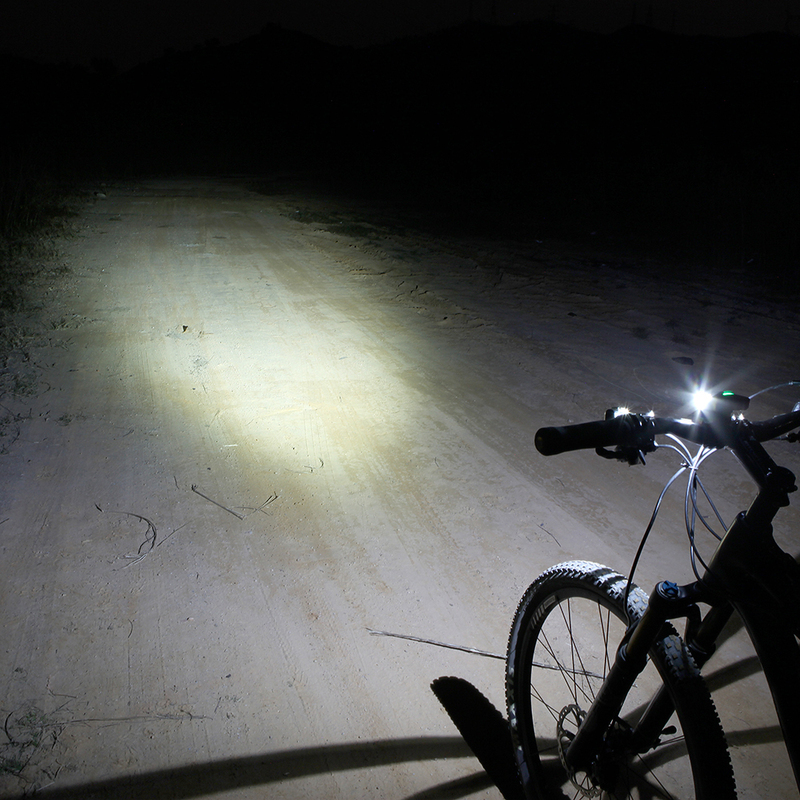 The Magicshine Allty 300 provides a maximum output of 300 Lumens and power setting High, medium, low and plash mode. These can be cycled through by pressing the button located at the top of the light once. 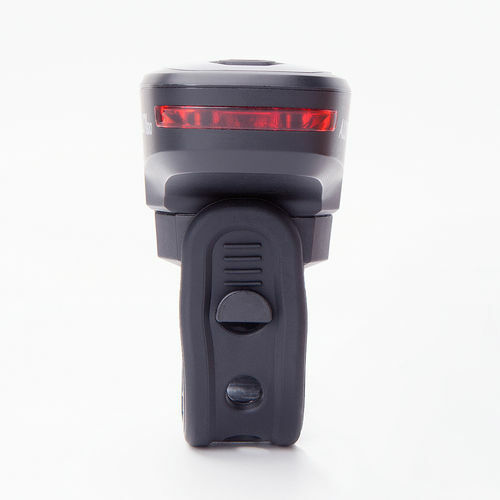 The built in rear light can be controlled by pressing the button twice quickly which cycles through constant and two flashing modes. With a 1.5 hour run time on full power the button on top also indicates the amount of power left in you light with it being green 100-50% battery, Blue 49& to 10% battery and red when you have less than 10% power left. Charging time for the Allty 300 is 1.5 hours for a full charge. 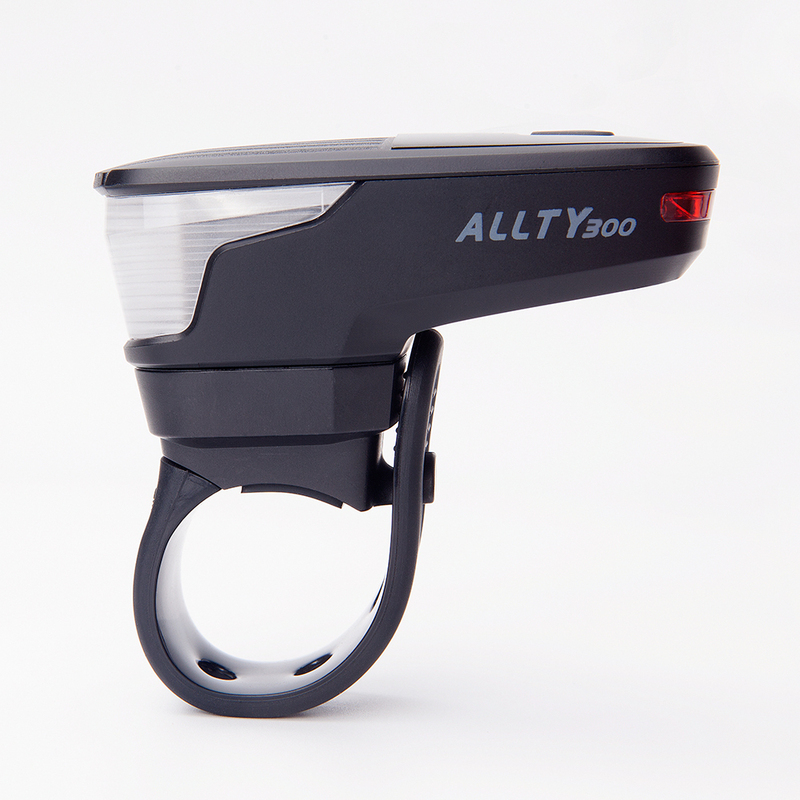 The Allty 300 comes with the handlebar mount strap, suitable for bar sizes 22-35mm. However it is also compatible with the Allty 500 Helmet mount and the TTA out front Aluminium if you are looking to upgrade your mounting system.